Long out-of-print, Wigs on the Green, Nancy Mitford’s hilarious and troubling satire of her own family’s embrace of fascism in the 1930s has just been reissued. Douglas Murray on its uneasy humor. Can fascism be funny? That's the question raised by the long-awaited reprinting of Nancy Mitford’s 1935 novel Wigs on the Green. The question is usually answered by reference to PG Wodehouse’s The Code of the Woosters where Bertie briefly faces down Sir Roderick Spode, head of the Black Shorts movement. That passage is generally referred to as satire. But it is not quite. Roderick Spode may be based on the leader of the British Union of Fascists, Oswald Mosley (Spode’s policies include the dividing up of English counties for the cultivation of specific types of vegetable). But Spode is a character from pure planet Wodehouse—just as much as Aunt Agatha or Gussy Fink-Nottle. And it is just as well. For the closer fascism gets to real satire, let alone real life, the closer you are to things which do not assist humour. The principle interest in Nancy Mitford’s finally republished novel is seeing this at work—watching where the satire works and where it falls more than flat. Of course, for Mitford, Wigs on the Green was not simply a satire of the wretched British fascist movement: it was also family biography. By the time she came to write the novel, two of her five sisters had fallen for fascism (and for fascists) while another, Jessica, had fallen for Communism. Her satirical range does not (and cannot) extend to encompass the horrors which her sisters were, by the time of writing, not just flirting with, but sleeping with. And though Nancy saw through both totalitarian movements on offer, laughter was not in the final analysis, the most effective treatment. When she wrote Wigs Diana had for several years been the mistress and was soon to become the wife of Oswald Mosley. Unity meanwhile had found the only love of her life in Adolf Hitler. In the year that Wigs came out Diana and Unity attended the Nuremberg rally as the Fuhrer’s guests. Nancy was aware that the characters painted in Wigs on the Green were transparently enough those of her fascist sisters. And to prevent a bigger family rift she excised certain parts that particularly troubled them. Though this occasionally leaves holes in the plot the personal undercurrent also accentuates the books uneasy place between comedy and horror—a terrain over which Nancy is by no means master. If indeed anyone could be. Eugenia is a fiercely beautiful heiress locked away in the English countryside who has taken it upon herself to form and head-up a local branch of the ‘Social Unionist’ movement. Her speeches are laden with threats of violence. “Terrible shall be the fate of the enemies of Social Unionism” is one of the rhetorical cries of Eugenia. At one point she talks of sending “the comrades” to fetch an ideological enemy. A little later, in a similar manner, knives and other weaponry are introduced. One gets the sense that for the author, even while writing this, keeping it light is a strain. But there are moments of pure Mitford joy. In one passage Eugenia gets stuck on the Nazis’ favorite cod-science of eugenics while questioning a possible recruit. It is the sort of treatment Anthony Blanche might have been subjected to. But always in the forefront of the reader’s mind is the knowledge that he would have faced something much worse than that at the same time but in another place. The same note of false jollity tolls throughout the book. Brideshead starts to meet Belsen. But it does not. Because it cannot. Nancy Mitford’s world is never quite the other-worldly haven of Wodehouse. It is a crueler world though Mitford’s imagination of cruelty rarely extends further than people being snubbed, sent-up, or otherwise giggled at. There is nothing wrong with this, and it is not her fault, but her satirical range does not (and cannot) extend to encompass the horrors which her sisters were, by the time of writing, not just flirting with, but sleeping with. I am unsure that anyone’s could. So apart from a U.S. mass-market paperback coupled with Highland Fling in 1976 this is the first time that Wigs has been available since 1935. As a result it has long been a collectors’ item. I have been on a list for a copy at Heywood Hill bookshop in London—home of Mitfordiana, where Nancy worked during the war—for the last 10 years. My name, so far as I know, is still not even close to the top of the list of customers waiting for a first edition. Happily the queue can now be decently jumped. This new paperback edition comes with a characteristically stylish and scholarly introduction by Charlotte Mosley (daughter-in-law of Diana) and adorns one of a series of reprint of all Nancy’s novels. As Love in a Cold Climate, The Pursuit of Love, and her letters (particularly those to Evelyn Waugh) testify, Mitford was one of the coolest and smartest writers of her generation. Her works continue to delight. But Wigs on the Green provides a lesson in something other than style and is something more than a curio. It is an example of what happens when fantasy breaks down, not consciously or desirably, but by necessity: when a true darkness penetrates the joy and a chill remains that no laughter, however delightful, can chase away. 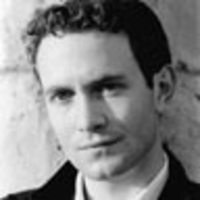 Douglas Murray is the Director of the Centre for Social Cohesion, a nonpartisan think tank founded to promote human rights, tolerance, and greater cohesion among the U.K.'s ethnic and religious communities. A bestselling author, political commentator, and columnist for Standpoint magazine, Murray writes for many other publications including the Spectator and appears regularly across the British and foreign broadcast media.